Recently, through the magic that is Twitter, I discovered Weirdo Toys–a blog about strange, bizarre toys (usually action figures of some kind). It soon became clear that the site’s owner, Justin, and I shared a fondness for a number of oddities, such as the Madballs Head Poppin’ Action Figures and the Imperial Universal Monsters. So when Justin Twittered a photo of a purple dinosaur-looking He-Man knock-off, I wrote him to express how awesome I thought the figure was–and to my surprise, he sent him to me! 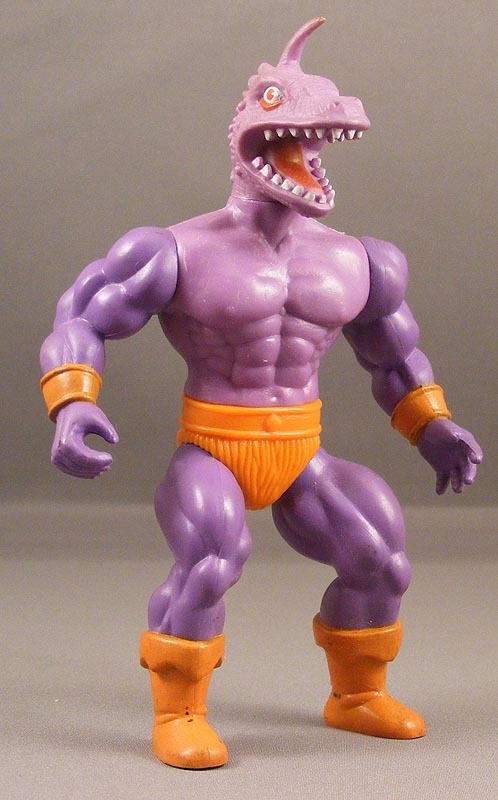 His “real” name is Gecko, and he was part of Remco’s “Warrior Beasts” line–an attempt to cash in on the Masters of the Universe craze. Reasons I loved him at first sight: he’s purple and has a dinosaur head. Gecko is already settling in nicely with the other figures in my collection. Look, he’s already made a friend! Neat figure Poe. 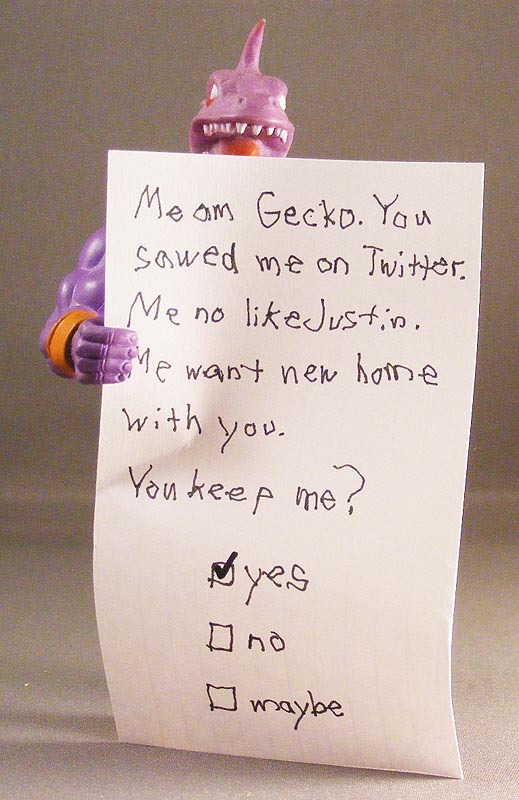 That was very nice of Gecko. I just checked out his site for the first time….lots of cool stuff. Speaking of Remco, I took a couple pics last night of a figure from a different Remco line that I have always had in my collection and is a fun figure. Thought I would submit it for 'Show & Tell'. In my head Gecko sounds like Bobcat Goldthwaite. I have a sort of Anubis from that line. Gecko sounding like Bobcat Goldthwaite is golden. Pretty sure I had a similar figure but I believe his head was green. Loved the old Remco figures even if they were all basically the same. They had some wacky ideas. So is this an old rip off or a current one??? 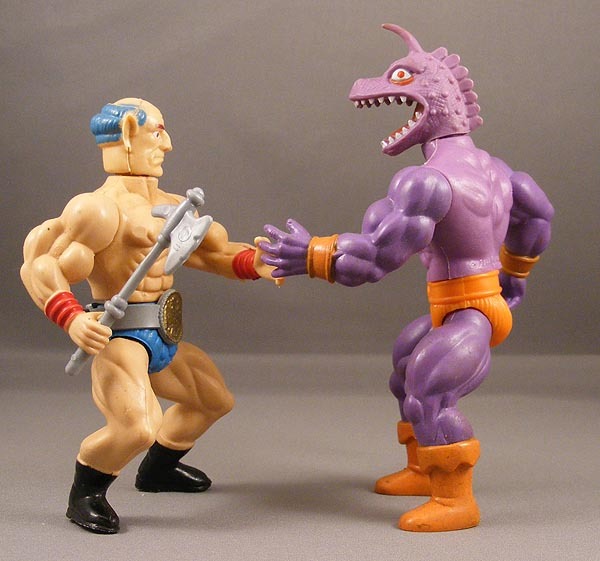 I so remember all these faker MOTU figures!! While I would not dare think of buying one as a kid, they look kind of cool now!!! I remember this series! My Gran picked up Craven for me in a pharmacy one Saturday, I loved that guy! I uased to have lots of Remco's Warlord and Warrior Beast figures. They were always nice to pick, up when there weren't any MOTU figures I wanted/didn't already have on the pegs. 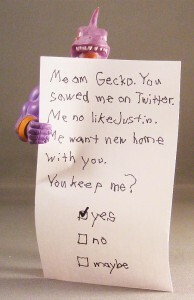 I recognize Gecko, so I'm prety sure I had him, too. Sadly, only Warlord himself and Hercules remain from the 20 or so Remco figures I used to have. Thanks for stopping by, Justin! And believe me, if I ever want any other figures I see on your site, I'll just do it the old-fashioned way and break into your house to steal them.